The Schwalbe big apple 16 inch tires are a air cushion suspension tire. The Big Apple started off the Balloonbike trend ten years ago: Comfortable cycling without using complicated technology! 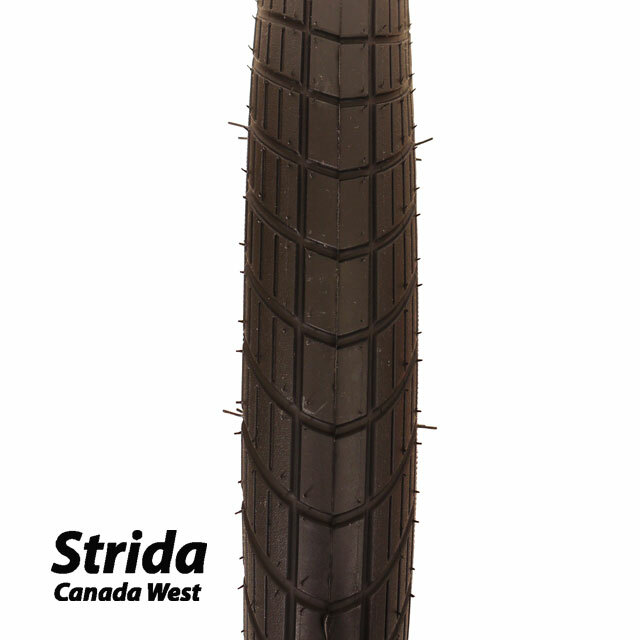 Air cushion tires are used as natural suspension. 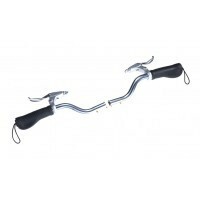 Inflated to 2 bar a Big Apple tire rolls very easily and with a full suspension effect. 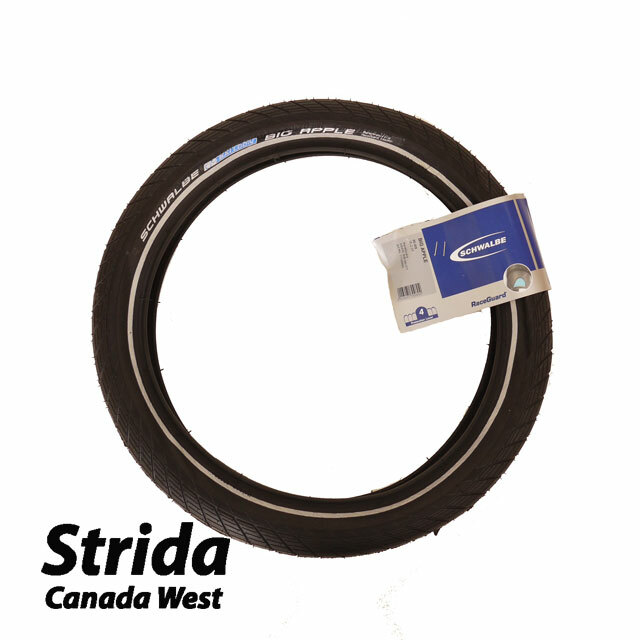 The Schwalbe Big Apple will mount on the Strida EVO and Strida 5.0 16 inch wheels. 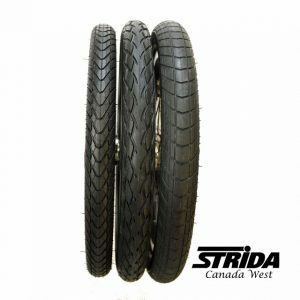 These tires will not mount on the Strida Lt 16 inch plastic wheels. Air pressure used in Big Apple tires can be adjusted as preferred. 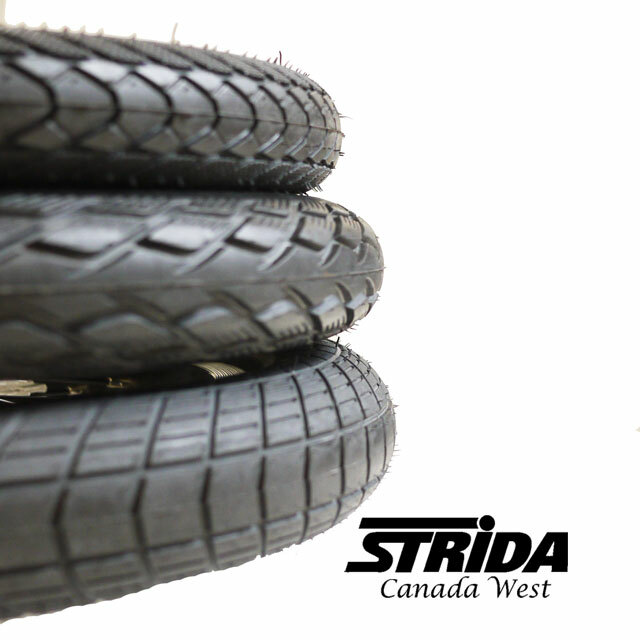 The optimum pressure is between 2.0 and 2.5 bar, which is clearly much lower than normal touring tires. The Schwalbe Big Apple tires are 50-305. 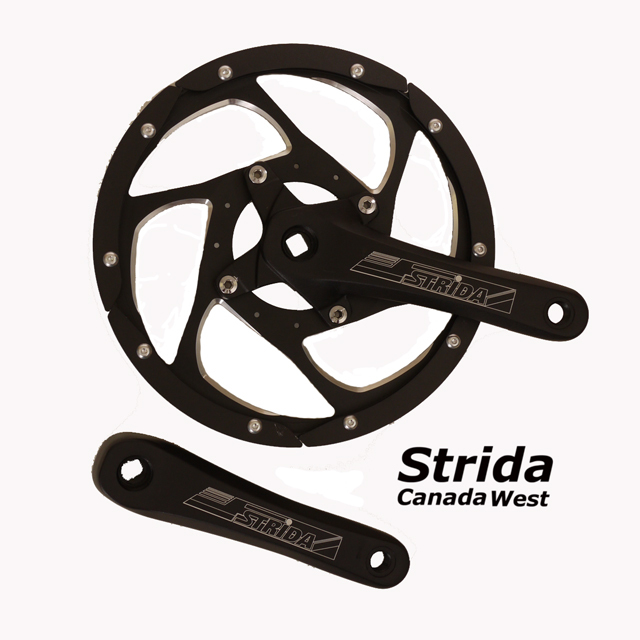 Big Apples are larger in diameter than the standard Strida 40-305 tires. 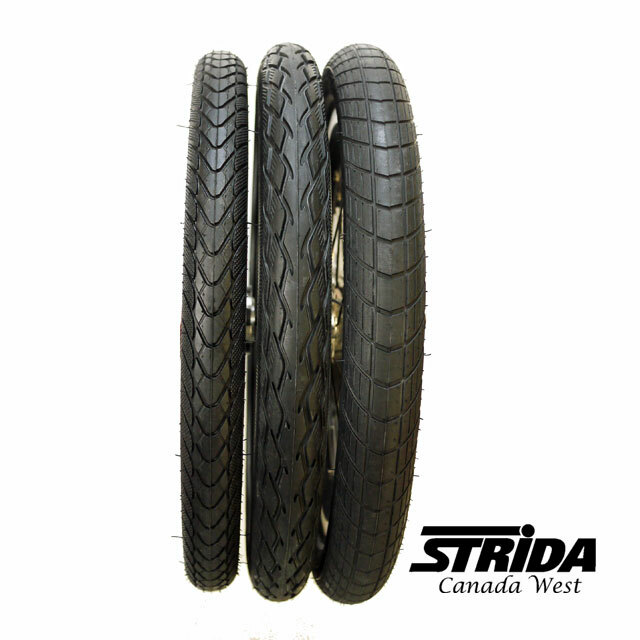 The diameter of the inflated Strida 16 inch tire is 390 mm, the Big Apple is 405 mm. 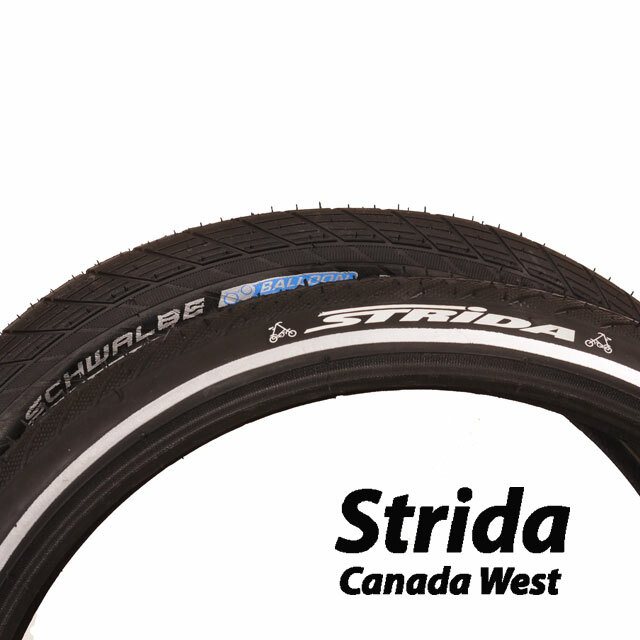 The Schwalbe Marathon 16 inch tire has a diameter 402 mm. 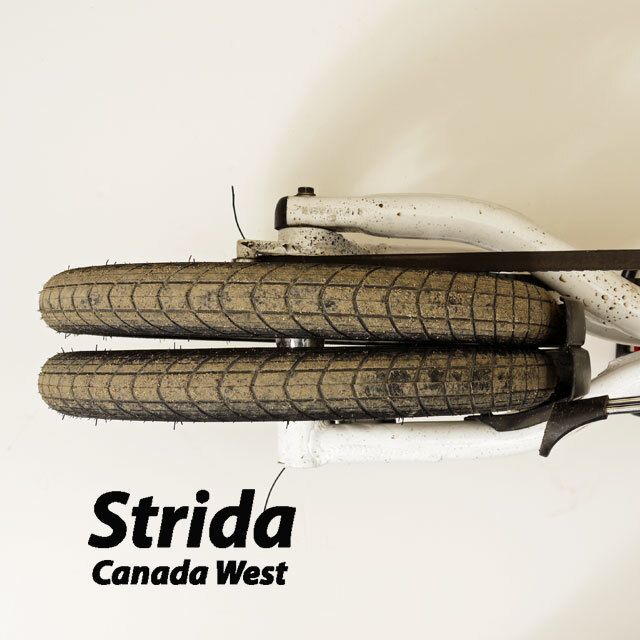 Not shown in the above photos is the Strida 18 tire which has a diameter of 425 mm. 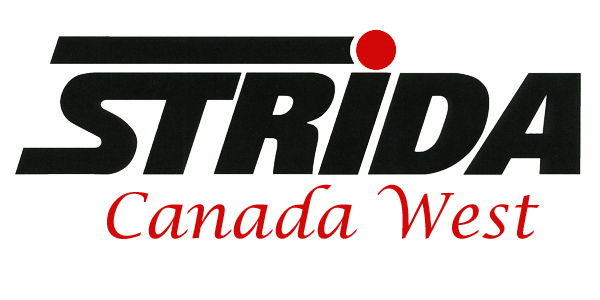 Because the gear ratio is the same then the Big Apple tire is faster than the Strida 16 inch tire. 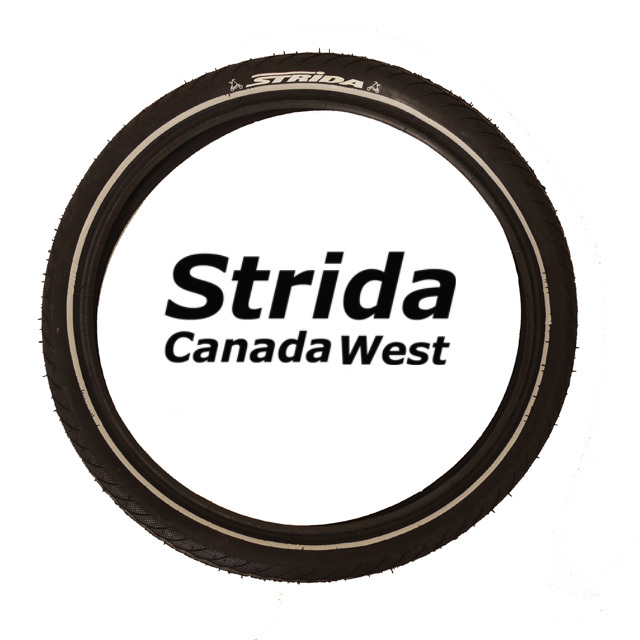 There is enough room to install the Big Apple tires on the Strida 16 inch spoke rims with the 16 inch fenders. It is a close fit and any mud on the tires may rub. 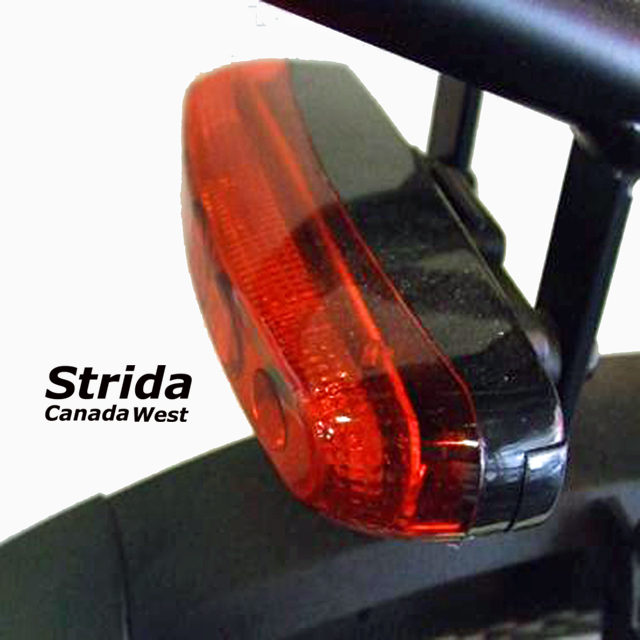 The Strida front wheel magnet will engage with the Strida rear wheel magnet keeper when using the Big Apple tires and lower inflation. 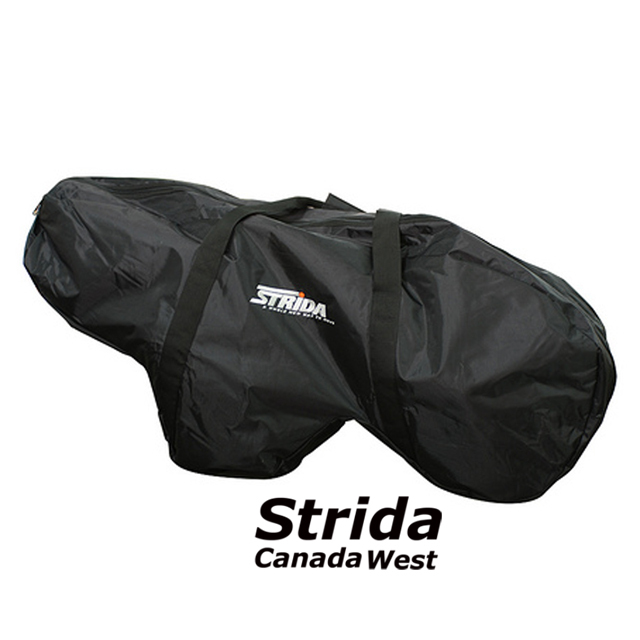 The Strida will still roll when folded when using the Big Apples and lower inflation. 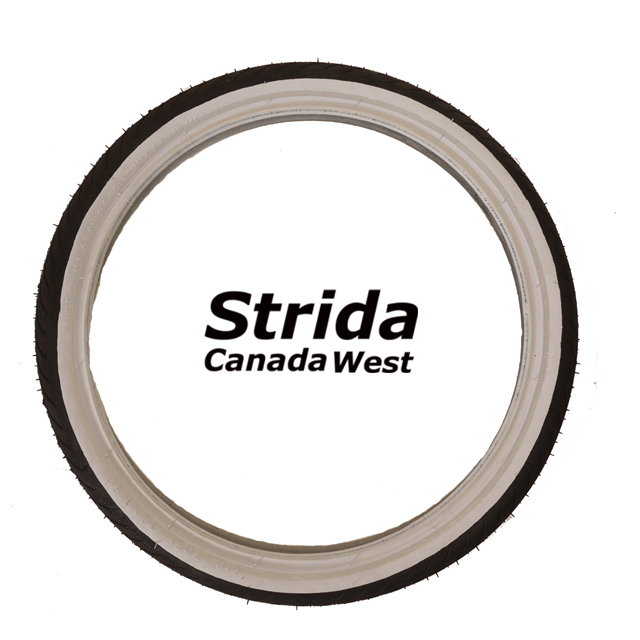 If you would like to fully inflate the Schwalbe Big Apples tires then you will need to install our custom designed Strida Magnet Spacer. For information regarding the Big Apple tires and cushion suspension here is a link to Schwalbe’s website.